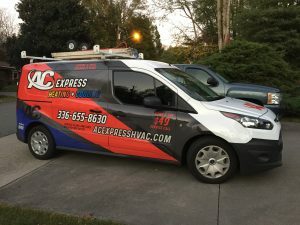 AC Express Heating & Cooling LLC proudly serves Winston-Salem, NC; Clemmons, NC; and the Triad areas with outstanding and reliable HVAC services and repairs. We specialize in air conditioning repair, heating repair, and heat pumps. Give us a call today to speak to one of our representatives and to schedule your appointment at your nearest convenience. You can also send your inquiry to our e-mail and we’ll get back to you as soon as possible.